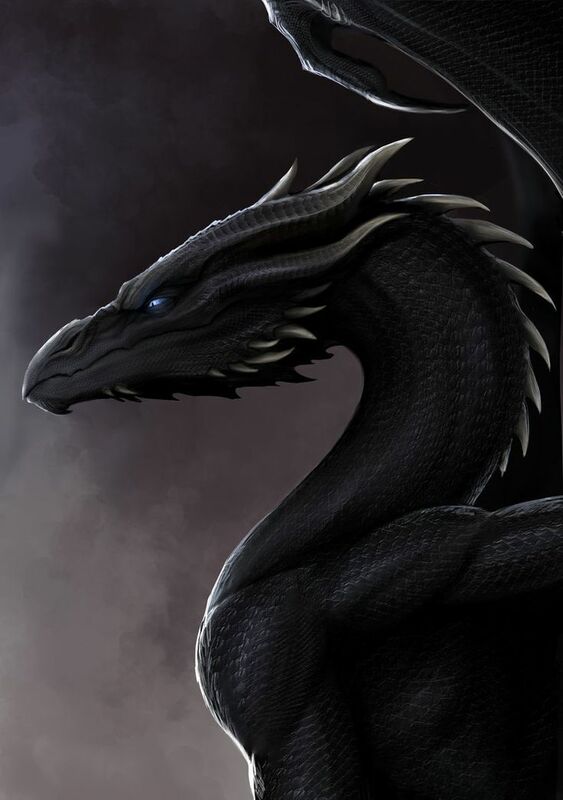 His intelligence his much higher than the average dragon, along with his competence in magic. He basically was a child, well, hatchling prodigy. He uses this intelligence in pursuit of science, building up on what little there was among Pyyria (his extent is nowhere near what we have irl), Science is a struggle, and he usually combines it with magic to further his studies and make up new spells. Fears: Morgos doesn’t fear much, he really only fears his experiments will be destroyed and the research burned, never to be recovered. He’s slightly worried that his work will be discovered, and considered a perversion of magic, or unacceptable (not that that will stop him, but still). Strengths: Morgos is good at the fledgling subject of science and magic, those are his specialties, and they include poisons and toxins. He’s skilled at stealth and speed (75-80mph), and not being found. His manipulation of others is also near perfection, and his apathy helps him create no bonds to be exploited by others. Morgos is observant, and uses info he finds for his own exploitation. He’s average at gaining the trust of humans, and is skilled at capturing and containing monsters. He makes sure he’s tied to no specific being/tribes/alliances. This can also be used against him. He mostly stays in the Order of Starlight because one; His natural enemies, the Lightwings, are there, and Two; being in an alliance gains him temporary protection, and ease of access to resources he needs. Weaknesses: He underestimates others, and is arrogant, thinking himself above his ‘pawns’. He’s sensitive to light and anything divine (Magic of gods, semi-gods, demi-gods, and Lightwings) His body recoils when faced with divine magic, and his sensitivity to light doesn't help. Threaten his work, and you can easily keep him under your control (but he’ll most likely backstab you in the future). You can easily sway him to your side if your offer is good enough for him. He lacks in strength, and his power is mostly not made for combat. He's obsessed with magic, which he knows can be used against him. Scales: Pitch black, and takes the likeness of an oil spill when in the sun. Eyes: Solid orange eyes with a silted pupil, seeming to be faintly covered by an orange mist, that seem to spin with other shades of oranges and a dash of black like a kaleidoscope, or writhing mist, and they also give off an eerie glow. Appearance: Lean, serpentine, toned, black mouth, stinger-like spike at the tip of his tail, and a composed posture, he also has spines resting on the back of his neck that he can rub together, creating a sound much like the rattle of a rattle snake. These same spines run along the ridge of his back and end midway down his tail. Runes adorn his body to help with multiple things, such as hiding his presence, keeping his mind intact, and controlling the flow of his special power. He often wears a perpetual smirk on his muzzle, unless the situation calls for respect and solemnity. Inheritance: Purebred Nightwing that is taking residence in the Lightwing tribe. Normal Abilities: he can exhale sleeping gas, blend in perfectly with the night, and has excellent night-vision. Combat Style: Morgos rarely fights head-on, mostly leaving the dirty work to his experiments, but if he does have to dirty his talons, he usually does it in the form of assassination, be it poison, or a talon to the throat. He mostly avoids fights completely. History: When Morgos was a hatchling, he was often ignored by his parents, in favor of his brethren. He was never strong, never powerful like his hatch mates, and often scorned by his family as his parent’s attitude wore off on his siblings. He slowly grew to resent both his parents and his brothers, and soon confronted his parents about it, and in retaliation got a gash running from his left hip, over his back to his right shoulder. He grew silent after that. As he grew older as the runt of the family, he discovered the wonders of poison, testing his findings on an assortment of low-level monsters, and hatched a plan of revenge. So, while everyone was resting, he slit his six brother’s throats, and injected a torturous poison into his parents, as they screeched in pain, he sat back and watched with cool detachment. The rest of the Nightwing tribe cast him out and he became a rouge. He grew in intelligence and discovered his ability at the age of 20, afterwards, experimenting with it. He soon discovered an affinity in the creation and fabrication of ‘technology’ and ‘magic’. He also found that he was quite competent in magic, and didn’t care much for the drawbacks of using it, finding a high tolerance of it (this doesn’t mean the drawbacks didn’t happen). He soon craved the power, and craved finding ways to combine it with the science already discovered. After a time of thought, Morgos decided to join another tribe, soon traveling to the territory in which the Order of Starlight mainly rules, and after a couple trails of trust, competence, and strength, became the Scholar of the Lightwing tribe. As of now he is still in the tribe, and has made some new advancements in science magics. What do you mean by being able to control another being's energy? And exactly what "beings" can he use this on? Baldirak Sapiens Draco wrote: What do you mean by being able to control another being's energy? And exactly what "beings" can he use this on? Energy pools? Ya know, souls in a way? Basically the manifestation of emotions, which are souls in my opinion, I called it 'energy' because then it would seem less mystical sounding and more Scientific sounding. Beings are basically any creature, seeing as how we have a crapload of...characters? Races? one of those two. I was just trying to generalize so i wouldn't have to list out every single species Pyyria has. Keep in mind that you cannot control another person's character, including what they think or feel, without permission, so unless you have it, this ability can only be used in NPCs. You state he has to study/practice the ability for a couple years before he could use it without it backfiring on him. What are the current drawbacks/weaknesses to using this ability? Why is he sensitive to magic used by gods? Him being a competent poison specialist should go under strengths, not abilities. He's skilled at stealth and speed. How fast can he fly? What's the highest level of monster he can capture? And since he seems to be obsessed with magic, this should also be mentioned in weaknesses. I updated, Did I get everything? "The drawbacks of using this ability consist of an unstable emotions and energy exhaustion. Which can last from half a day, to a day, there is no sure way to know how long it'll last between those two timeframes." This should go at the top of the ability description after you mention there being drawbacks to using the ability. "His highest level for monster capture is a medium threat, though he sticks to low-threat levels due to the volatile side-effects of having a strong being's energy shoved into another being's energy. (Those side effects usually cause the host to go insane, and kill themselves, quite counterproductive for his studies.)" This should go under strengths after you mention him being skilled at capturing monsters. "His body recoils when faced with divine magic, and his sensitivity to light doesn't help." What do you mean by this? I'm not sure what you mean when you say he recoils. What I mean by 'He recoils', It's a instinctive reaction to divine magic, That's all, instinct, it may be something in his past long-forgotten. So not even he knows. Weaknesses: He underestimates others, and is arrogant, thinking himself above his ‘pawns’. He’s sensitive to light and anything divine (Magic of gods, semi-gods, demi-gods, and Lightwings) His body recoils when faced with divine magic, and his sensitivity to light doesn't help. Threaten his work, and you can easily keep him under your control (but he’ll most likely backstab you in the future). You can easily sway him to your side if your offer is good enough for him. He lacks in strength, and his power is mostly not made for combat. He's obsessed with magic, which he knows can be used against him. He's skilled at capturing up to Medium-threat level monsters after years of practice for his experiments. Please try not to double post. You can always edit your previous post if you want/need to add something. So why did you quote your app? So when magic is used against him by a god, he... instinctively recoils? Again, what exactly does it mean when you say he "recoils"? Do you mean he reacts as if someone/something pushed him? Does he become paralyzed? Just saying he recoils doesn't give someone an idea of what happens, so you have to be more specific. Baldirak Sapiens Draco wrote: Please try not to double post. You can always edit your previous post if you want/need to add something. So why did you quote your app? I didn't double post, I was editing it and clicked send, but then it double posted, and I couldn't do much about it.